Dr. Jean Spooner, Extension Professor retired with 34 years of service. Dr. Spooner joined N.C. State as an Extension Specialist in 1984 as a member of the Water Quality Group. Her specialties are soil science, statistical analysis, and non-point source water quality. Spooner received a B.S. in Agronomy from Cornell University, a M.S. in Soil Science from NCSU, M.S. in Applied Statistics from Utah State, and a Ph.D. in Soil Science from NCSU. 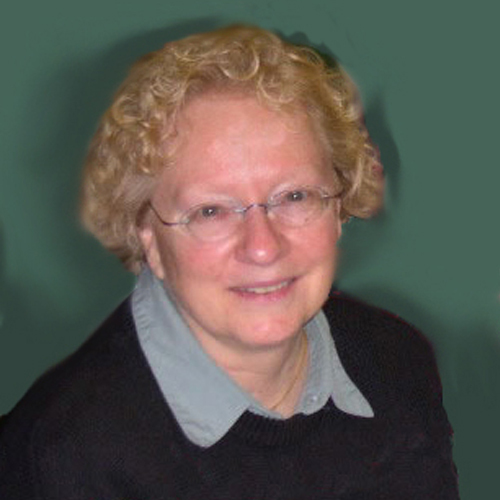 She served from 1991 until her retirement as Group Leader of the NCSU Water Quality Group (WQG). She became Director of the Soil & Water Environmental Technology Center (SWETC) in 2002. Dr. Spooner’s unique specialty included experimental design and subsequent statistical analyses to demonstrate statistically significant improvements in water quality associated with nonpoint source (NPS) control programs. She has provided this expertise to state nonpoint source control programs and water quality projects nationwide. Dr. Spooner has co-authored 34 refereed journal articles and 23 extension factsheets or online curriculum software; served on 10 graduate committees; and provided leadership for 147 grants totaling over $25 million. She has developed short courses for USEPA and been an Invited Keynote Speaker at 6 National and 2 International Conferences. She has received several state and national level awards, among them the Hugh Hammond Bennett Merit Award, an ASABE Educational Aids Blue Ribbon, and the Kenneth R. Keller Research Award for Excellence in Doctoral Dissertation Research. She is a member of numerous Professional and Honorary Societies. Dr. Spooner has always been a team player and leader, and the strongadvocate for her team and employees under her. She encouraged and facilitated multidisciplinary relationships as evidenced by WQG collaborations across many disciplines. Schilling, K. E., Isenhart, T. M., Palmer, J. A., Wolter, C. F., & Spooner, J. (2011), Journal of the American Water Resources Association, 47(4), 672–686. Spooner, J., House, C. H., Hoover, M. T., Rubin, A. R., Silverthorne, R., Steinbeck, S. J., … Martin, B. (1998), In On-site wastewater treatment: Proceedings of the eighth national symposium on individual and small community sewage systems, March 8-10, 1998, Orlando, Florida (pp. 458–469). St. Joseph, Mich.: American Society of Agricultural Engineers.